Drum Expo 2013: Since the company's inception in 1922, Premier's foundation has been built upon progress and improvement. 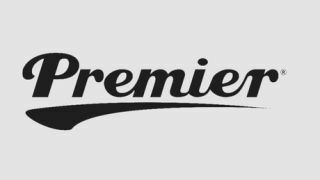 From our humble beginnings in London during the Roaring Twenties, the Premier brand has grown to become the UK's oldest surviving major manufacturer of drums and percussion; a true paragon within the music industry. Our reputation for innovation and craftsmanship transcends the musical styles of ten decades positioning Premier at the forefront of drum set design. All around the world, drummers both young and old strive to achieve that legendary sound you come to expect from a Premier instrument. Our knowledge and passion ensures you don't have to worry about your Premier instruments - you just play them. Check out the full range of Premier products and download the brochure. The growing list of exciting new drummers such as Pat Lundy (Funeral for a Friend), Michael Spearman (Everything Everything) and Cassell the Beatmaker (Plan B), along with international status players including Nicko McBrain (Iron Maiden), Ginger Fish (Rob Zombie) and Chris Sharrock (Beady Eye), not only proves the excellence of our drums on the worldwide stage but also provides an invaluable source of ideas and inspiration. As one of the most iconic names in music today, you will find our passion for great instruments is stronger than ever. We embrace the demands of modern musicians and extend a warm welcome to the members of our ever-growing family of drummers. The Premier Series Elite are the most dynamic range of drums available and have been embraced by many of modern musics leading drummers. Click here to read more about the Premier Series Elite range. The Genista Series has been first choice for both aspiring and professional drummers since the 90s. Classic in design and distinctive in sound, the Genista is available with more options than ever before. Click here to read more about the Genista Series. Reinvigorated for 2013, the XPK Series is packed with a host of features offering incredible value for money and an outstanding sound performance. Click here to read more about the XPK Series. For more information, visit the official Premier website, or connect with them on Twitter, Facebook and YouTube.